For the third and last month of my internship at Genesis and Gilgal Group( G&G), I focused on learning the impact of architecture on Rwanda. In my last two blogs, I elaborated on the connection between architecture and human rights. Cities, buildings, etc. are designed for people, and they impact how they relate and live with each other. Thus, the served community has to be involved in the process of city/country architecting for better results, for more impact. The City of Kigali has embarked on the update of the Kigali Master Plan, five years after its adoption in 2013. The City of Kigali is looking increasingly to engage citizens to play a central role in the ongoing process of updating its Master Plan in a way that actually supports the growth of the city. The first phase of the plan (2013 to 2018) prioritizes rapid and effective urban development through its administrative structures and financial hub. 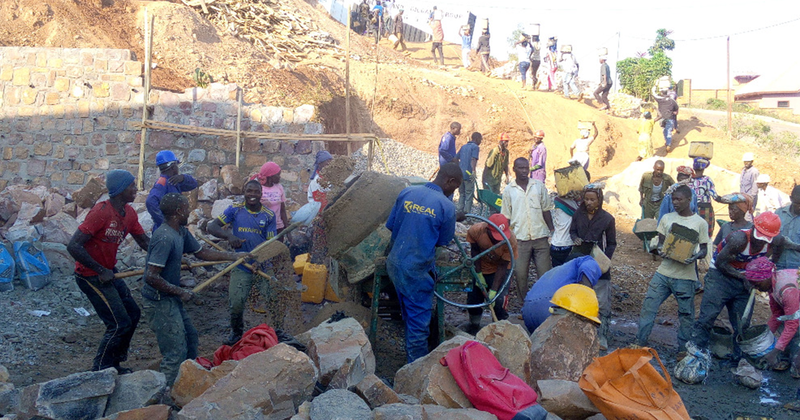 According to the Rwanda Housing Authority, the first phase of the plan has only been achieved at 70 per cent in the past five years due to financial issues and insufficient information about the Master Plan. Kigali Urban Planning and Construction One Stop Centre claim that the source of that deficiency is that the grassroots community has very little information about the Master Plan and therefore did not get a chance to share their ideas on how it should be implemented. The project on the review of the Master Plan Update started last month and will last for a period of ten months, ending in April 2019. In Rwanda, Rwamagana District has unveiled a new master plan as authorities attempt to expand its urban areas and avoid congestion. The five-year plan caters to the district’s main urban centers, and four sectors within the district. This new master plan will help people know the exact places to find certain services; hotels and tourism, dwellings, and commercial activities, instead of being separated in different areas. The new master plan divides the district into areas where each is assigned to accommodate specific activities. For example: industries will be found in one region within the district as opposite to being scattered from each other. Thus, it will be easier for citizens to know where to look for what they need. Today’s green, clean, and safe Kigali boasts social and economic development. This is a result of the government choosing well-managed urbanization and sustainable human settlement development. Until 2004, urban housing was self-led without any regulation, and the result was unplanned human development, settlement in High Risk zones, and underserviced residential neighborhoods. Efforts were made to regulate both the land use and housing, to ensure access to basic services and the safety of Kigali citizens. Citizens of Rwamagana requested for improvement in the district’s infrastructure, and the new master plan came as a solution. It is not too controlled because the government is working hand in hand with citizens so that the new master plan can be impactful. Those who are in informal settlements move to the new community residential area so that they can receive government’s services more easily. The government help them in this transition by building the new homes where they shall settle. The future looks promising for Rwanda, and I am excited to see development as the government implements its ambitious master plan.